Using flight data, you’ll learn how to better compare trends among airlines, adjusting your analysis based on how many flights an airline flies. By the end, you’ll know which airlines and airports are more or less reliable—and maybe even make it to Thanksgiving on time this year! This lesson uses data about US flight delays. For a data dictionary with more information, click here. Flying can be a frustrating and long endeavor in the U.S., especially around holidays and hurricane season when flights are delayed hours, sometimes days. As consumers, we’re generally aware of those trends, but what about the day-to-day trends of air travel delays? Which airlines are doing better at getting you there on time, and which airports are the worst to fly out of? One of the best ways to answer questions like these is to look at the distributions of the relevant variables. You can think of the distribution of a dataset or variable as a list of possible values, and some indication as to how frequently each value occurs. For a quick refresher on distributions, check out this lesson). Before you look at the distributions of delays across airlines, start by exploring which airlines have the most delays. It might be a good idea to look at the proportion of each airline’s flights that were delayed, rather than just the total number of each airlines delayed flights. ABC of Analysis: Always Be Curious: A great analyst will always be skeptical and curious. When you reach a point in your analysis where you might have an answer, go a little further. Consider what might be affecting your results and what might support a counterargument. The best analysis will be presented as a very refined version of the broader investigation. Always be curious! Since you’re going to use this for further analysis, it will be helpful to use .reset_index() to clean up the index. While you’re at it, assign the new DataFrame to a variable. This paints a very different picture - Southwest is squarely in the middle of the pack when it comes to the percentage of flights delayed. But what about the length of time passengers are delayed on each airline? It’s plausible that the proportion of flight delays may be lower for some airlines, but the length of those delays may be much longer. Passengers care more about longer flight delays than shorter ones, and they might choose a different airline given a record of long delays. For passengers, which airlines seem more reliable? Or in more measured terms, How many minute are flights delayed on average, for each airline? .describe() is a handy function when you’re working with numeric columns. You can use .describe() to see a number of basic statistics about the column, such as the mean, min, max, and standard deviation. This can give you a quick overview of the shape of the data. Wrapping that in data[...] applies the boolean index to the DataFrame data. ['arr_delay'] reduces the columns to just the [‘arr_delay’] column (and the index). This is a feature that really sets python apart from SQL or Excel. It would take a lot of work to get this information in either of those tools, but here it is as easy as adding the .describe() method. count: there are 42,020 rows in the dataset, which is filtered to only show Southwest (WN). std: the standard deviation. More on this below. min: the shortest delay in the dataset. In this case, the flight was very early. 25%: the 25th percentile. 25% of delays were lower than -9.00. 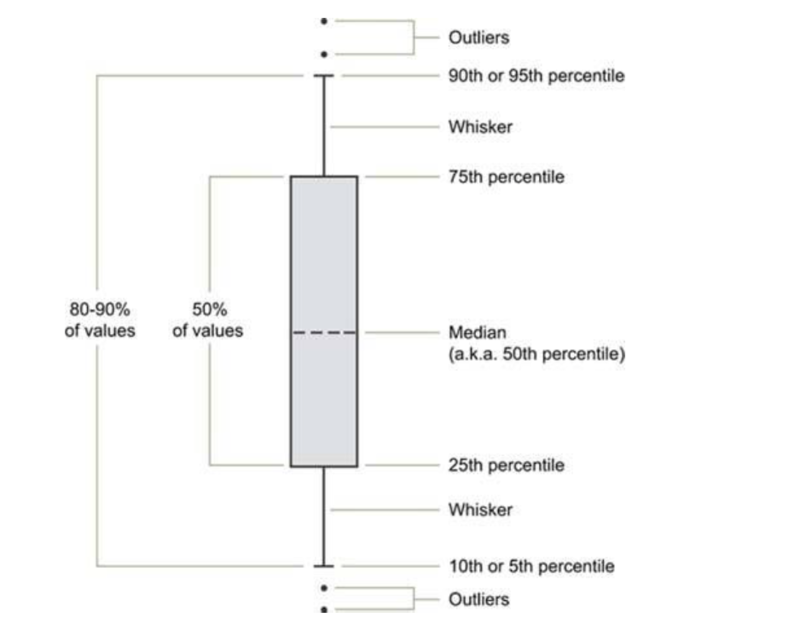 50%: the 50th percentile, or the median. 50% of delays were lower than 1.00. 75%: the 75th percentile. 75% of delays were lower than 19.00.
max: the longest delay in the dataset: 535.00. Get the basic statistics for arrival delays for flights originating in Chicago. Use the .describe() method. If all of Southwest’s flights are delayed five minutes, but American Airlines’ flights are sometimes delayed a full day, you might say that the uncertainty of American Airline’s delays are higher. It’s also possible that when the flights aren’t late, they’re early, and it’s arguable that that’s a point in favor of the airline. There’s a lot of nuance to this problem that would be best explored visually. 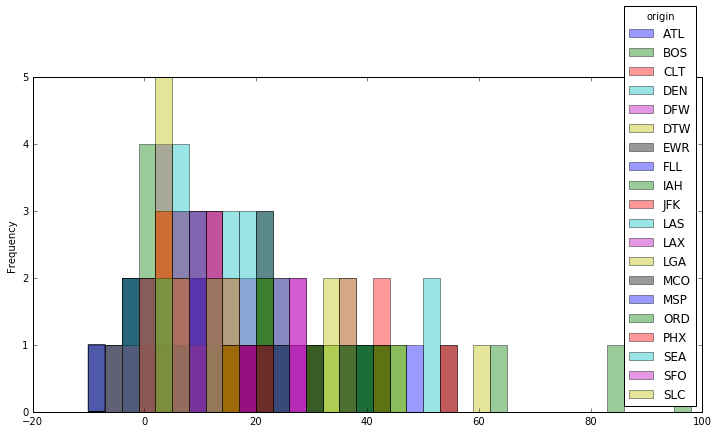 You can visually represent the distribution of flight delays using a histogram. Histograms allow you to bucket the values into bins, or fixed value ranges, and count how many values fall in that bin. which represent fixed ranges of 0 to 10 and 10 to 20, respectively. Something very important to note is that histograms are not bar charts. In a bar chart, the height of the bar represents a numerical value (such as number of delayed flights), but each bar itself represents a category—something that cannot be counted, averaged, or summed (like airline). In a histogram, the height of the bars represents some numerical value, just like a bar chart. The bars themselves, however, cannot be categorical—each bar is a group defined by a quantitative variable (like delay time for a flight). One way to quickly tell the difference is that histograms do not have space between the bars. Because they represent values on a continuous spectrum, a space between bars would have a specific meaning: it would indicate a bin that is empty. Bar charts can have spaces between bars. Because they show categories, the order and spacing is not as important. Check out this blog post by Flowing Data for a great explanation of histograms. Say you’re interested in analyzing length of delays and you want to put these lengths into bins that represent every 10 minute period. You can use the numpy method .arange() to create a list of numbers that define those bins. The bins of ten minute intervals will range from 50 minutes early (-50) to 200 minutes late (200). The first bin will hold a count of flights that arrived between 50 and 40 minutes early, then 40 and 30 minutes, and so on. Great! You can see that the vast majority of Southwest flights weren’t more than 30 minutes late. Though the airline has many flights, the majority of them aren’t late enough to make you regret going on vacation. Plot Virgin America's flight delays at five-minute intervals from -50 minutes to 200 minutes. Interesting - the trend is a bell curve with the exception of an increase in the number of delays between 20-25 minutes. Let's dig into the Virgin America flights that were unexpectedly delayed. Which flights were delayed between 20-25 minutes? Was there a given reason? What hypotheses might you make about why there are more flights in that bin as opposed to the 15-20 minute bucket? Select the flights using boolean indexing, then count the origin airports for those flights. Solution? There is too little data to tell, but the battle for 20-minute delays goes to the Virgin America’s hubs, San Francisco and Los Angeles. Also note that we haven't normalized this data for how often the airline flies from that airport, so we don't yet know if there were proportionally fewer flights that were late from SF or LA than other airports. Seeing one distribution is helpful to give us a shape of the data, but how about two? Looks like delays on Envoy Airlines are more distributed than delays on US Airways, meaning that the values are more spread out. One of the measures you see above is std, standard deviation, which describes how flight delays are dispersed. In comparing the histograms, you can see that US Airways’ delays are most concentrated between -20 to 20 minutes, while Envoy Air’s flight delays are more distributed from 0 to 200 minutes. You can say that Envoy Air’s delays are more dispersed than US Airways’ delays, meaning that for a given flight on either airline, you would be less certain about the length of the delay for the Envoy flight. 34.1% of records fall between the mean and one standard deviation higher. 34.1% of records fall between the mean and one standard deviation lower. So you might say that 68.2% of data falls within one standard deviation of the mean. You can see that Envoy Air has a mean of about 35 minutes and a standard deviation of about 58 minutes. This means that 62.8% of the Envoy Air flights are between 23 minutes early (35 - 58 = -23) and 93 minutes late (35 + 58 = 93). By contrast, US Airways has a lower mean, indicating that its flights, on average, are less delayed. US Airways also has a lower standard deviation, meaning delays are typically closer to the mean. More specifically, 62.8% of US Airways flights fall between 27 minutes early (7 - 34 = -27) and 41 minutes late (7 + 34 = 41). Based on this information, you might say that US Airways delays have lower dispersion than Envoy Air. Let’s look at another very real dimension of this data—flight delays segmented by airport. Airports suffer from various challenges, such as weather, runway design, and congestion that impact on-time flight departures, so let’s find out how they stack up. We don’t want to get stuck in the mountains over New Years (or do we?). To create a boolean index where you’re looking for values matching anything in a list, you must use .isin() with the desired list of matches. You can create a boolean index filtering for the records that originated (‘origin’) in the 20 highest volume airports. Now that you have DataFrame of flights originating from high volume airports, you might ask: where did the longest flight delays originate in January 2015? You can create a pivot table that pivots the flight date on the airport, where the values are the mean of the flight delays for that day. Well, that’s also tough to read. The method of overlaying distributions has limits, at least when you want to compare many distributions at once. 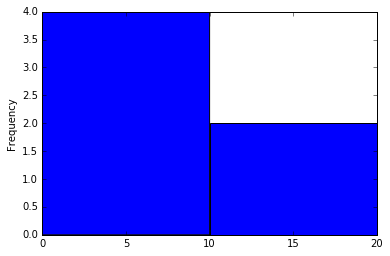 Luckily, there’s a one-dimensional way of visualizing the shape of distributions called a box plot. 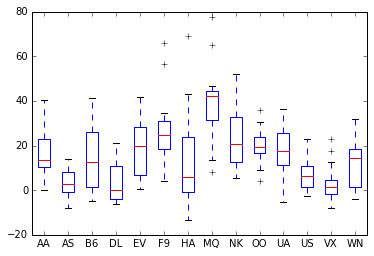 As you can see, it’s visually simpler to compare many distributions with box plots. Airports like JFK had significant dispersion of delays, while LGA was evenly distributed around the most frequent average delay. ORD, however, was almost twice as delayed all the time, compared to every other high volume airport. Expect snow delays in Chicago in January! Leading into this analysis, we posed a few key questions. To answer the last, Which airports are the worst to fly out of?, you can now say that you will (almost certainly) be delayed if you are flying out of Chicago in January, based on 2015 data. If you can help it, avoid connecting flights in Chicago. Visualize the average arrival delay by date and carrier using box plots. As you’ve seen in this lesson, placing data in contrast enables you to better understand it. While it’s clear that all airlines and airports suffered from some delay, you can use statistics to quickly draw out abnormal trends and occurrences across the data. The deviation of data from a trend is often clearly revealed in visualization, which allows yous to visually identify unusual events, and dig deeper.